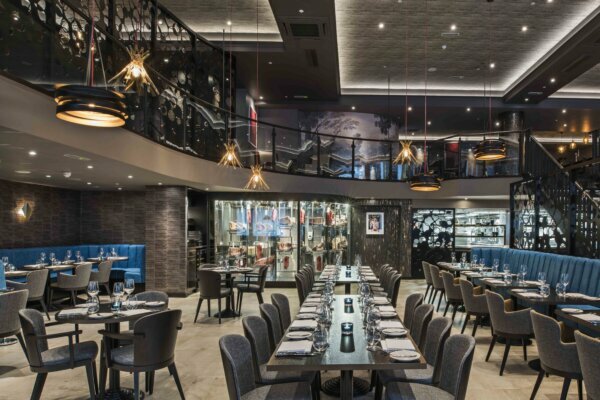 20% off on all food and drink for Cheapside Privilege Card and App users at Pitcher & Piano, Cornhill restuarant. T&C’s: Offer valid until the 1st September 2019, and the offer cannot be used in conjunction with other offers. Enjoy 10% off your bill at Café Nespresso, 100 Cheapside. * Offer only available at Café Nespresso, not the Boutique. 20% off food at M Threadneedle Street, and a complimentary glass of Prosecco! M Threadneedle Street is a multi-award-winning city hotspot housing a destination cocktail bar, wine tasting room, M Grill restaurant, private members lounge and four private dining and event spaces. The grill boasts the first ‘Himalayan salt chamber’ found in a London restaurant, which ages exclusive steaks from around the world, including the highest grades of USDA, Wagyu and Kobe Beef! Listed by Harpers as ‘Best for Steak and Seafood’ the sustainable, international menu by Michel Roux and Gordon Ramsey protégé Executive Chef Michael Reid, mirrors the origin of the beef, as does the extensive, accessible wine list which also comes from USA, France, Japan, Australia, South Africa and Argentina and is worthy of his background working at one of the ’50 Best’ restaurants in the world. Offer: 20% off food & a complimentary glass of Prosecco! T&C’s: Only available on A La Carte bookings. Cannot be used in conjunction with any other offers. Available for tables of up to 6 people. Offer expires on 30th April 2019. Set in a modern, glass-fronted building, the Paternoster sits right next to St Paul’s Cathedral, providing the perfect metaphor for London today: the modern juxtaposed against the traditional. This theme continues inside, the Paternoster is set in a bright, airy, open plan space, but still retains the traditional values that encapsulate the British pub. With an all day menu with daily changing specials it is the perfect venue to meet friends and colleagues. Free WIFI throughout, excellent coffee range and a central location with St Paul’s a 2 minute walk. Also open on weekends. We offer 10% off our fantastic Breakfasts, which are served from 8am to 11.30am Monday to Friday, as well as 10% off on weekend Brunches and Lunches, served from 10am. To redeem this offer: Present your Cheapside Privilege Card on arrival or quote when making a reservation over the phone.